I can remember exactly where I was 5 years ago today. Along with a few thousand others, I had waited outside the Moscone Center in San Francisco in the cold and rain while the organisers were deciding to let the press attendees in. A couple of hours later, there was a mad rush as the doors to the auditorium opened and those with more experience of such events grabbed the best seats. The place was buzzing. For weeks the rumours had been flying concerning the likelihood of a phone from Apple and each time there were more details, it all became less likely. However, Apple had made a concerted effort to bring media people to the keynote event, and I was just one member of a large group from Asia. I made a lot of new friends that week. There are not many people who had such a stage presence as Steve Jobs. The presentation he gave was not flawless but it stands as one of the best marketing deliveries ever. There is even a book (Gallo, Ernest. The Presentation Secrets of Steve Jobs: How to be Insanely Great in Front of any Audience) that focuses on how well done it was. I also use the video of the proceedings in teaching. 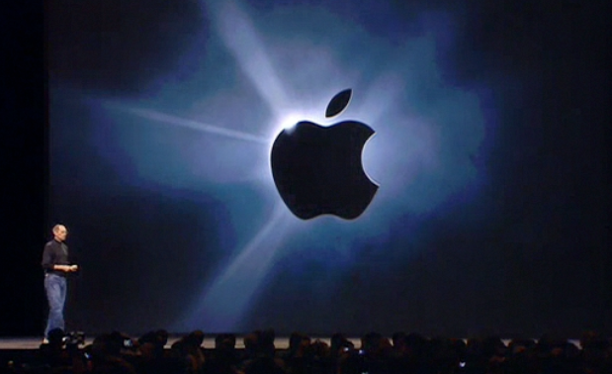 There were several items of business before a slide appeared showing the image that was on billboards all round the Moscone Center: a dark apple, with a bright light rising behind. Cupertino could hardly have picked a better symbol. Jobs walked to the side of the stage, sipped some water and took a deep breath. For all his chutzpah, he showed slight tension. With what came next, this was not surprising. "This is a day I have been looking forward to for two and a half years," he began. "Every once in a while, a revolutionary product comes along that changes everything. . . ." You could have heard a pin drop. He outlined previous Apple landmarks (Macintosh, iPad) and told us that there were to be three revolutionary products that day. First was a widescreen iPod with touch controls. The announcement produced much clapping and cheering as well as approving nods from several in the audience. This was followed by a revolutionary mobile phone. The cheers were louder. A fist punched the air. I looked around and all those in the row of seats I had found myself in were expressing much delight. Strangers next to me shook me by the hand. The third item was announced as a breakthrough internet communications device. The cheers were more muted. The clapping softer. In the long run of course, this part of the iPhone that no one understood back then has been perhaps its strongest point: Apple knew what its customers wanted before the customers did. Again. What followed then was an example of marketing genius. 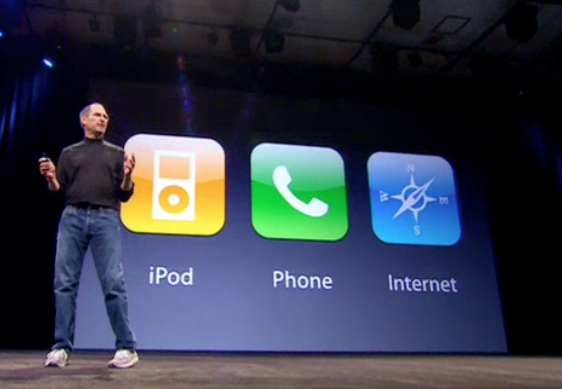 The icons for the three separate "products" appeared on screen and spun together, appearing to merge for a moment, as Steve Jobs announced each function. As this happened for the second time, the penny dropped. I said to the new friend beside me, "It's one thing." I was right. The levels of cheering began to rise. Steve interrupted: "Are you getting it yet? . . ."
The next day, our media group was led through the underground passages of the Moscone Center to a press room where we were checked in and had to leave our cameras. No one checked for smartphones in those days. We were ushered into a room with some Apple execs and there was the iPhone. Our group of ten had only a few minutes but we did manage to handle the device. A reporter from Pakistan tried the scrolling and screamed. 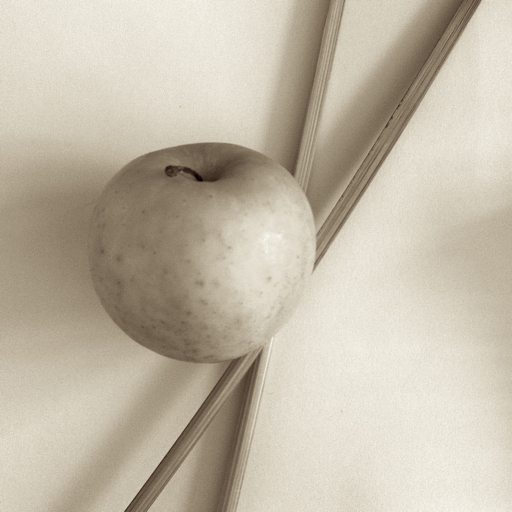 The Apple man said, "A lot of people do that." It took a long time for the iPhone to arrive in this neck of the woods, but in the interim I read such rubbish in the press -- local and international -- much of which was fabricated. Almost none was based on real hands-on experience. I am on my third example of the device now with the latest iPhone 4S. It improves with every new release and with every new app that I download. Others aspire to make the next iPhone, but few have managed to come close as the infrastructure -- the overall experience and security -- is missing. Only Android is beginning to achieve some successes, but with the number of handset makers taking up this OS, there is an inevitability about the spread. There are also a number of doubts about how much of Android is truly open and there are suggestions that court decisions will mean consumers could end up paying for royalties due to Microsoft, Apple and even Kodak. 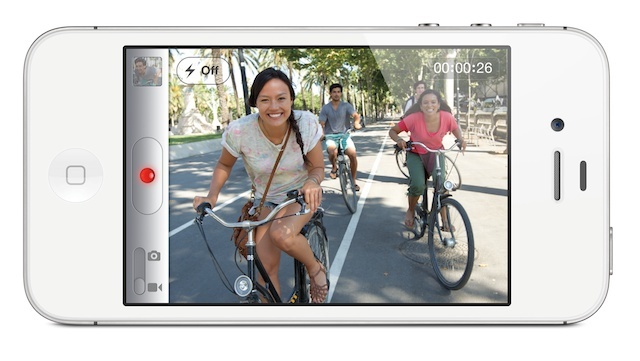 Like the original Macintosh and the iPod, the iPhone changed an entire industry and some are stil playing catch-up. I was there and it was clear that the steps made were about to revolutionize another industry.